As flames consumed mountain ranges and smoke filled the air, an equally destructive wildfire of public opinion raged through the affected community as it became apparent that the U.S. Forest Service had the capability to extinguish the fire, but chose not to do so. Don’t Keep It Lit, Extinguish It! I actually first noticed one of these billboards after meeting with a rancher named Eldon Neves who was in the process of trying to locate dozens of his cows that hadn’t been accounted for in the Pole Creek Fire and Bald Mountain Fire that burned over 100,000 acres in the mountains south of Spanish Fork, Utah during most of the month of September. This fire was catastrophic on many levels. Thousands of people were evacuated from their homes. Private property owners and ranchers were burned out. Beloved mountain retreats were burned to ash. Energy infrastructure was at risk. Air quality levels reached levels of critical danger to community health. Watersheds and soils were compromised. It is clear from the Forest Service’s directive that they chose to ignore Smokey the Bear’s advice. Those who were watching the weather knew that several days of wind were forecast shortly after these signs were stapled to interpretive kiosks throughout the forest. While prescribed burns can be an effective tool for maintaining a healthy forest, making the management decision to let wildfire play the role of a controlled burn isn’t just risky, it is literally playing with fire. After the winds came and the fire burned out of control, the only thing going up in smoke faster than the forest itself was the reputation of the U.S. Forest Service. Those who attended the several public meetings sponsored by the Forest Service to salvage its reputation have said that the supervisor who made this decision said in public meetings afterward that hindsight is 20/20, and it was a mistake to let the fire go. Apparently, “Don’t Keep it Lit, Extinguish It,” is a good slogan for billboards and cartoon bears, but it is not sound advice for the decision makers who actually have the power and resources to extinguish wildfires. After all, they have wildlife habitat enhance. 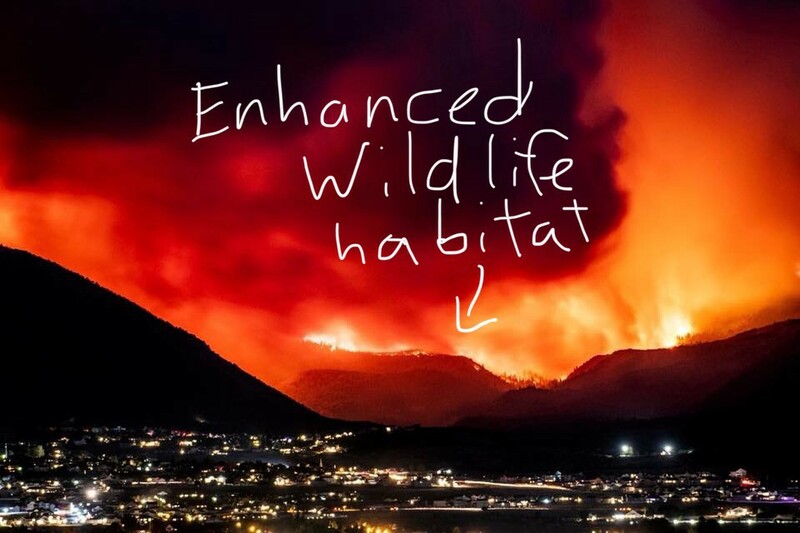 I wonder what the living, breathing analogs to Smokey the Bear think about their newly enhanced habitat (assuming they were lucky enough to survive the flames). He is also running a gofundme campaign to give him and his grazing association the resources they need to recover from these losses. The campaign is performing well, but it could and should be doing much better. 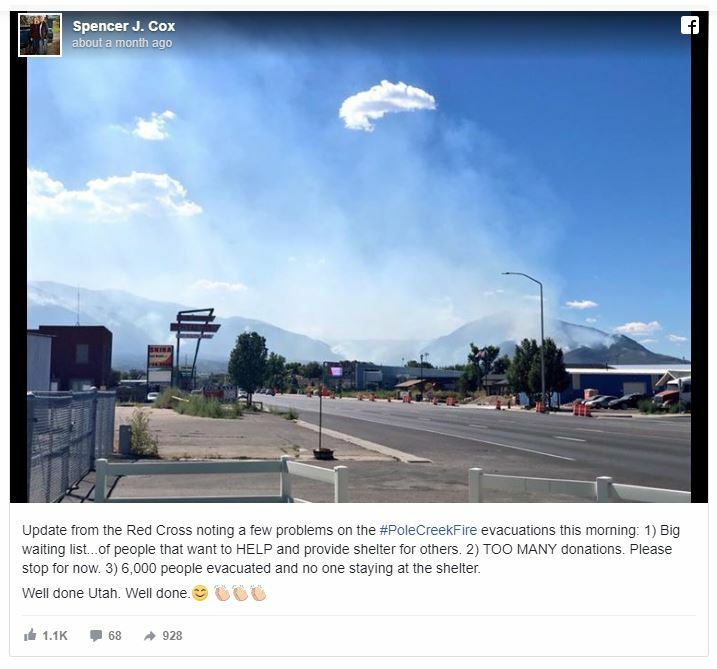 As you drove through Payson and Spanish Fork during the fires, every sign and every marquis in town had messages thanking the fire fighters. During this time Eldon and his fellow ranchers were spending every waking minute trying to save their cows and get them off the mountain. It wasn’t until after the dust had settled and the smoke had cleared that he was able to put together the fundraiser to solicit help from the community that just weeks before had been so generous it was told by a top elected official to stop making donations because there had been too many donations. Once a crisis has cleared, and the harrowing images of destroyed landscapes and displaced people are no longer clogging our feeds and screens, it’s easy to get back into the routine of the normal and forget those in need. 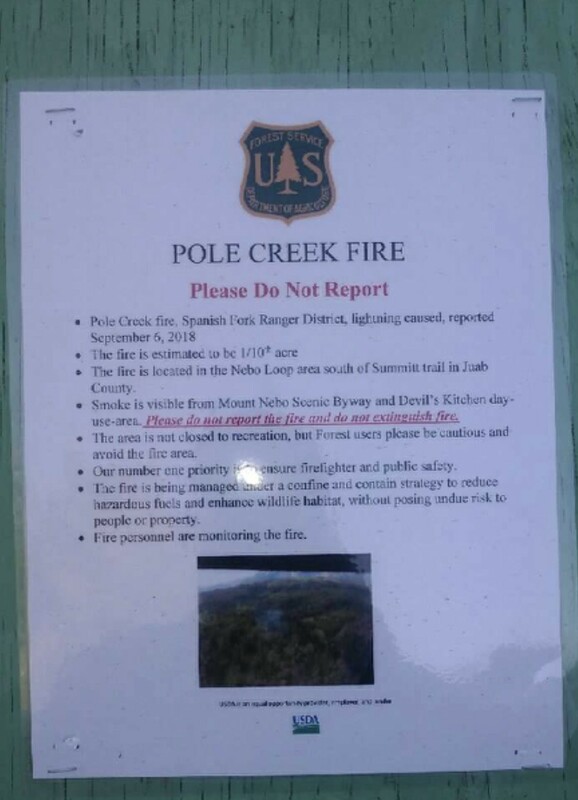 Most of those affected by the Pole Creek Fire and Bald Mountain Fire were able to safely return to the lives and homes and livelihoods they left behind for a few days while facing the specter of losing it all. Hopefully the generosity that spread like a wildfire during the height of the crisis can be rekindled and continue to spread. 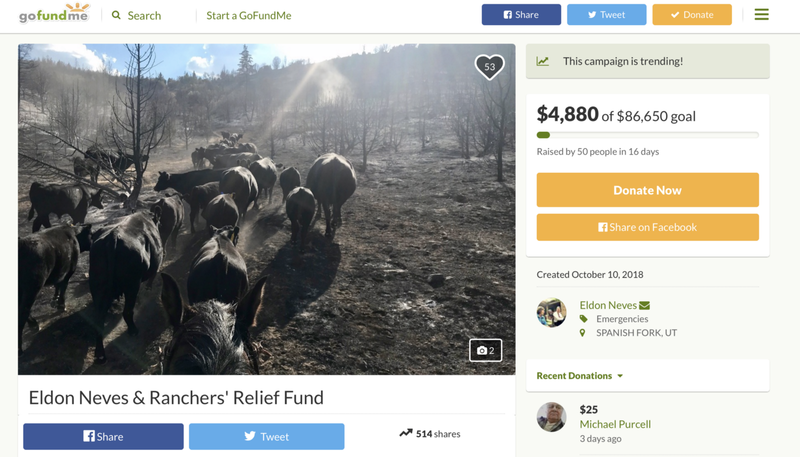 For Eldon’s sake and the others who saw their livelihoods burned to ash, now is the time to spread generosity like a wildfire and spread the word. Don’t Extinguish It! Keep it Lit  ! Ben Burr is a former Senate staffer/software business owner/consultant/writer turned homesteader laying claim to a 3 acre spread in Southern Utah with his wife and 4 kids. 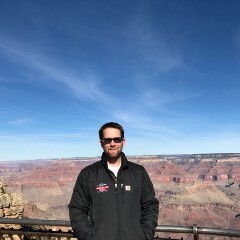 Ben is the co-founder of Rangeland Strategies.